Beat Circus is a band from Boston, Massachusetts fronted by multi-instrumentalist / singer-songwriter Brian Carpenter, who has been its only constant member since its inception. 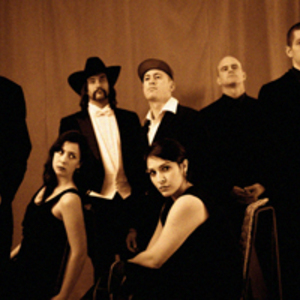 The band's songs are characterized by lush arrangements, eclectic instrumentation, and Carpenter's lyrical themes of love, death, religion, and American mythologies. The music draws heavily from several disparate genres including experimental music, modern classical, cabaret, circus music, Appalachian string music, bluegrass music, old-time music, Southern Gospel, and funereal music. Since 2005, Carpenter has been developing a "Weird American Gothic" trilogy of concept albums, starting with Dreamland.